Community mobilisation is one of our core values. Participation from the local residents of South Ari Atoll and throughout Maldives is very important to the work of MWSRP. 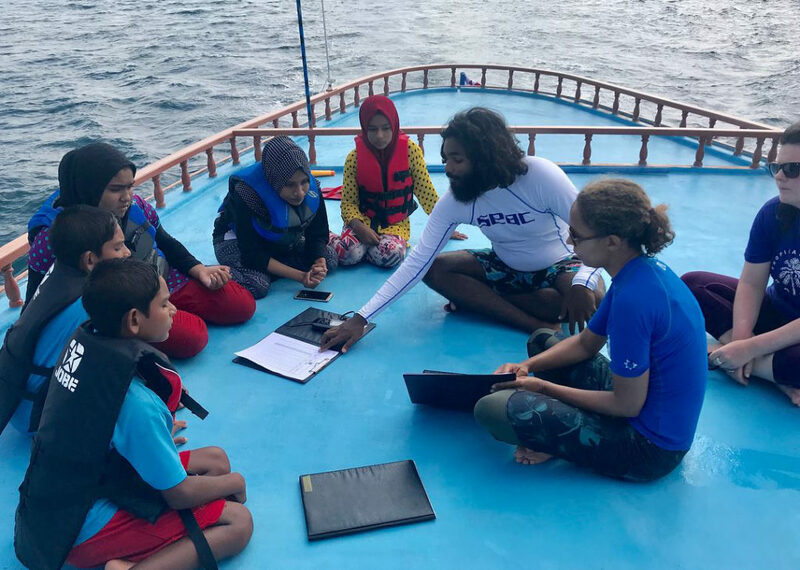 For 2018 the MWSRP will be continuing our ‘Moodhu Kudhin’, or ‘Children of the Sea’ initiative around the islands of South Ari atoll. We’ll also be looking to run our internship program for the 6th consecutive year and look forward to announcing a new scheme that supplements the school syllabus with exciting out of classroom projects. Watch this space! 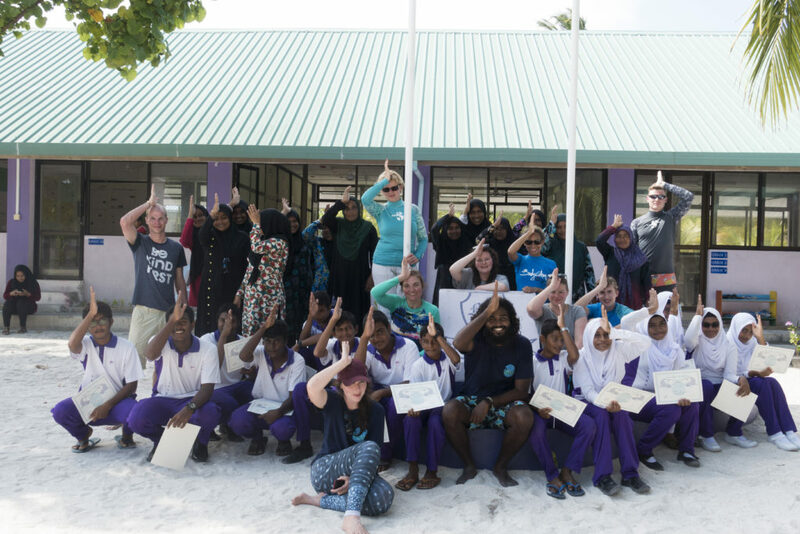 It may surprise you that while the younger generation of Maldivians will be learning in school about the marine environment, many wouldn’t necessarily have donned masks and snorkels and taken the step to see what is going on down there first hand! As marine conservationists, the MWSRP are of the belief that if you can’t see this undersea world then you probably won’t fully appreciate it. If you don’t fully appreciate it, then it’s probably hard to really care about it. If you don’t strongly care about it, well that’s does make conservation harder. So in 2017 the MWSRP designed and began implementing the ‘Moodhu Kudin’ programme. Translated from the local language, this means ‘children of the sea’ and is a very exciting two day practical and theoretical experience designed to supplement the excellent school learning the children receive in marine sciences. The key component of this programme is getting the children out onto and into the sea. 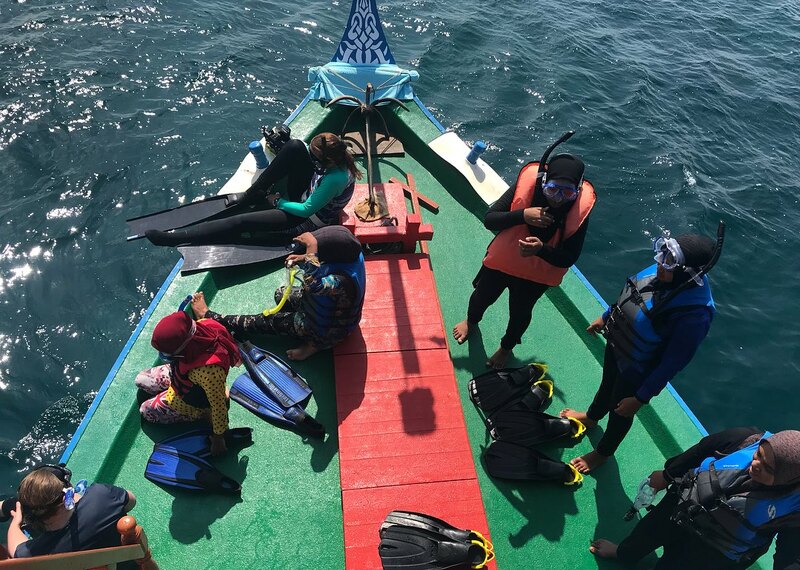 Bedecked in mask, snorkels, fins and the mandatory life vests and surrounded by MWSRP staff and volunteers, as well as teachers and parents, the children are able to safely explore and see first-hand the complexity of the coral reefs that surround their home islands. We’ve even had some groups encounter whale sharks! They also learn first-hand what it takes to collect scientific data, which we always hope will plant the seeds of interest in a marine sciences career! sand showing decomposition rates for common man made materials attracting a lot of disbelief! Over the next year our infield team and volunteers aim to visit those schools we’ve not yet reached of the 7 local islands within our area of research, with 20 students from each school given the opportunity to join us on our research dhoni. See Moodhu Kudhin in action below and be sure to follow our Facebook page for regular updates from the islands! Very few people are fortunate enough to pursue a career doing something they truly want to be doing. For those that don’t get there, often times necessity or lack of opportunity are the main hold backs. 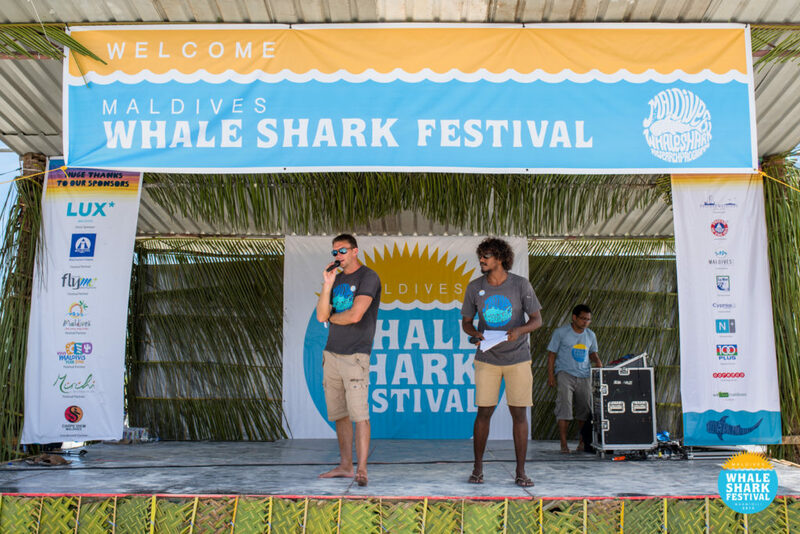 In the Maldives the opportunity to work in marine sciences or conservation is more limited than other marine focused roles like joining the diving industry, where jobs are plentiful and career prospects and a sustainable income are a reality. But in 2012 when the MWSRP first looked to recruit a local marine scientist to work in the field helping to collect data on whale sharks, the interest in the position was huge. And so it was that we designed the internship program to give those with an interest but not the means an opportunity to get a foot in the door in a new field. The MWSRP internship is a structured three month immersive program. Crucially a stipend is paid and all expenses of being in the field are covered by MWSRP, so allowing the successful candidate to experience a new opportunity whilst minimising personal financial risk. The program itself sees the intern thrown into the deep end somewhat! 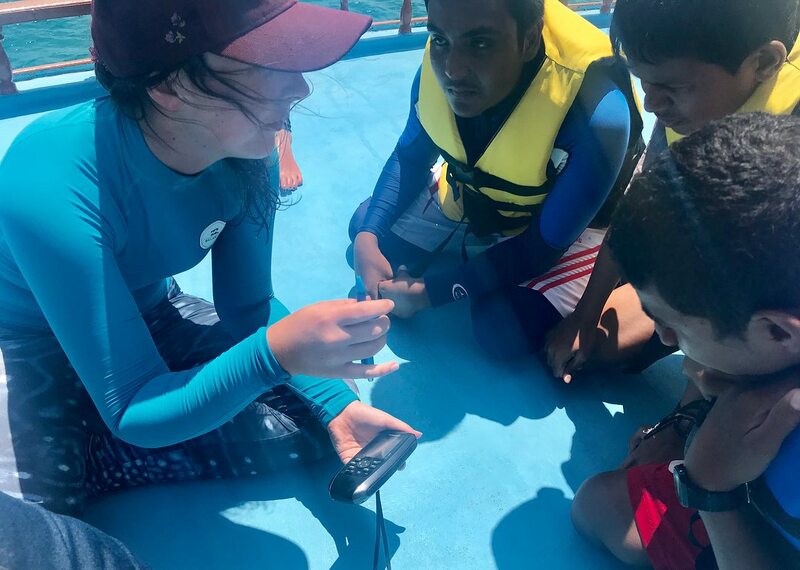 After a few weeks of settling in, reading up and being taught about shark and general marine biology and field data collection skills, interns gradually progress to being placed in the foreground of both data collection and presentation of information to others. As part of an international team and under the guidance of an experienced field researcher, they are eventually fully exposed to life as a marine scientist, so allowing for an informed decision on whether this is truly their calling in life. As well as the formal internships, we do invite individuals keen to see what we do to apply for a volunteering period with us for up to 2 weeks. Don’t hesitate to contact us if you’d like to know more or to express your interest! 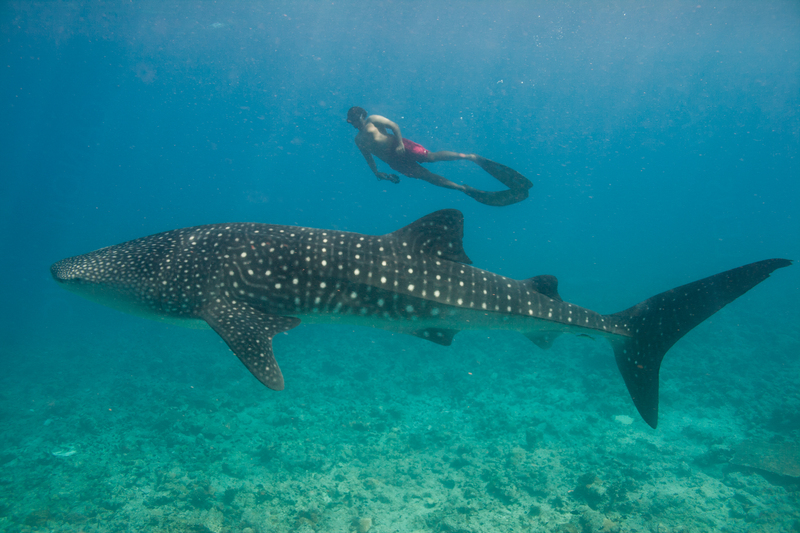 Anyone who interns with MWSRP is fairly sure to end up with a whale shark ‘hero shot’!